Susan Taraskiewicz was 27 when she was last seen Sept 13, 1992. 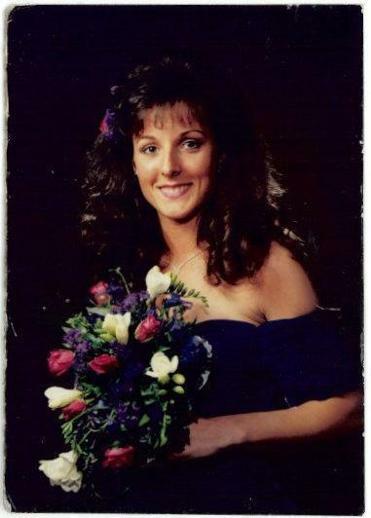 Twenty-one years after her daughter’s body was found beaten and stabbed in a car in Revere, Marlene Taraskiewicz remains hopeful that the perpetrator of the gruesome slaying will be held accountable. This weekend marks the anniversary of the murder of Susan Taraskiewicz, a 27-year-old baggage supervisor for Northwest Airlines at Logan International Airport. She was last seen on Sept. 13, 1992, when she took sandwich orders from co-workers and left for an early morning food run. Her body was discovered 36 hours later. Marlene Taraskiewicz said Friday that her daughter was harassed by co-workers who resented having a woman in a leadership role. And, Taraskiewicz said, she believes one of her daughter’s colleagues orchestrated the slaying because he feared that she knew about a credit card scheme that some workers were involved in. “I want them to know that they have to keep looking over their shoulders, because they’re going to get caught,” she said. David Procopio, a spokesman for the State Police, declined to discuss potential suspects in the killing but said the investigation remains active. Suffolk District Attorney Daniel F. Conley implored anyone with knowledge of the case to come forward. The month before the slaying, several Northwest baggage handlers were subpoenaed to testify before a federal grand jury investigating the theft of hundreds of credit cards that came east on Northwest Airlines flights from Minneapolis, and were pilfered from mailbags upon arrival in Boston. Court documents later revealed that some of the men who had been accused of harassing Taraskiewicz on the job feared she might aid investigators. Over the next few years, 37 people were convicted on federal charges of participating in the ring, including Joseph Nuzzo, now 53, of Peabody, who was described in court as the initiator of the scheme. Nuzzo, who was a baggage handler at Logan, was sentenced in 1995 to three years in prison for his role. A federal appeals court ruling in a related case revealed that investigators had targeted Nuzzo in 1998 as a possible suspect in Taraskiewicz’s slaying. A call to a number listed for Nuzzo was not returned on Friday. He has previously denied having anything to do with the murder or ever harassing Taraskiewicz. Taraskiewicz said she grew more optimistic that her daughter’s killer would be arrested after the capture of notorious gangster and longtime fugitive James “Whitey” Bulger in 2011. “If they can bring him in, they’re going to get the person who murdered my daughter,” she said. Anyone with information about the case is urged to call State Police at 617-727-8817. Shelley Murphy of the Globe Staff contributed to this report. Travis Andersen can be reached at tandersen@globe.com. Follow him on Twitter @TAGlobe.